Even with quality preventive and routine care, injuries and sickness can strike at any time. At her family practice in Perrysburg, Ohio, Dr. Roberta June Guibord is available for those non-emergency situations, offering quick relief for a host of ailments, from broken fingers to a bout of the flu. If you’ve been temporarily sidelined, call or book an appointment online to get back to your usual self. Despite all your best efforts to keep you and your family healthy, every day is fraught with challenges that may require a visit to the doctor. Kids at school pass along colds as they do candy. Sports activities can lead to injuries. And the list goes on. Injuries and illnesses are common, but nothing a sick visit to Dr. Guibord can’t help fix. Dr. Guibord is a family practitioner who specializes in overall health and wellness, and her goal is to make sure that each of her patients is feeling their best. If you’re sick or injured, she works with you to get you on the mend as quickly as possible. 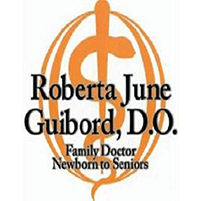 Because Dr. Guibord takes the time to understand your complaints and your goals, she’s able to offer solutions that fit your immediate and long-term needs. She can also determine whether something more significant is at play. So, even if you’re just feeling “off,” a sick visit to Dr. Guibord is an excellent idea. What are the Most Common Reasons For a Doctor Visit? Besides these, Dr. Guibord routinely sees patients who’ve sustained minor injuries, such as broken fingers or toes, or who are battling seasonal colds or the flu. No matter the issue, if you or a member of your family is feeling poorly, call Dr. Guibord to get relief. Making an appointment is always a good idea to ensure that Dr. Guibord carves out time to devote to your issue. You can make an appointment by calling or using her easy online booking tool. If, however, you don’t feel you can wait to make an appointment, Dr. Guibord invites you to come in during office hours, and she does her best to accommodate you.